This distinctive home features spacious and efficient one floor living. The entry porch leads into the large kitchen with easy access to the rest of the house. The large open great room allows multiple furniture arrangements with great views. The large master bedroom suite includes a walk-in closet and a full bath. 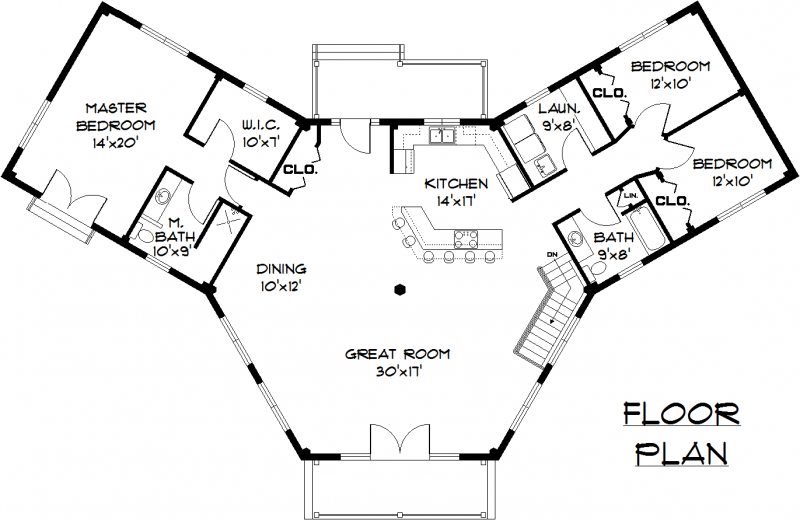 Two additional bedrooms, a second full bath and a large laundry room complete the single floor living concept. This contemporary design effortlessly combines unique angles with traditional joinery, resulting in an exceptional timber frame home.